Cherries and chocolate come together in this rich and creamy smoothie that is naturally sweetened with ripe bananas. 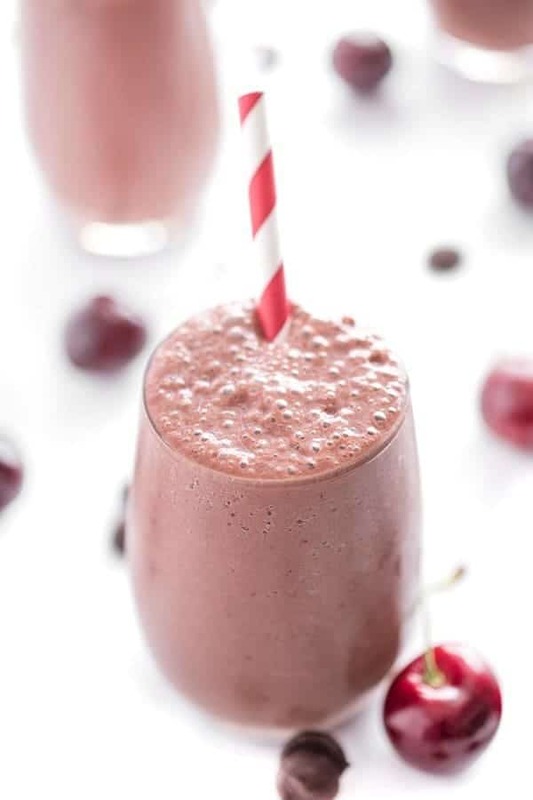 My Chocolate Cherry Berry Smoothie is ideal for a breakfast, a snack or dessert! 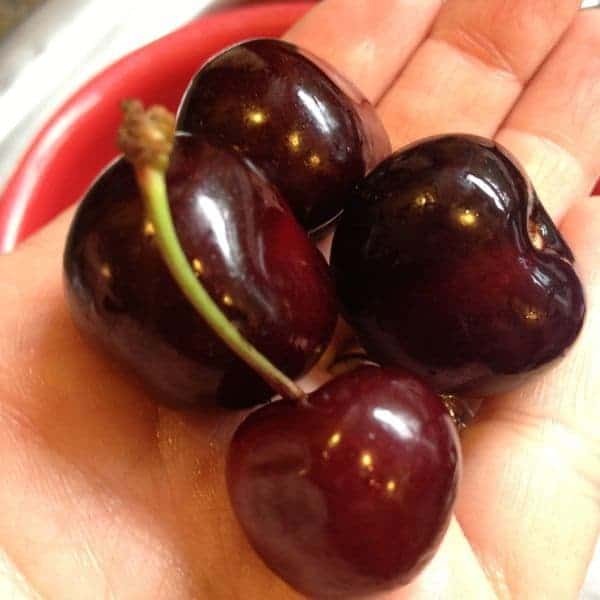 Cherry season is in full swing here in Michigan and I am loving every bite! Ripe, juicy and sweet – every summer I am reminded just how lucky I am to live in the nation’s largest cherry producing state! 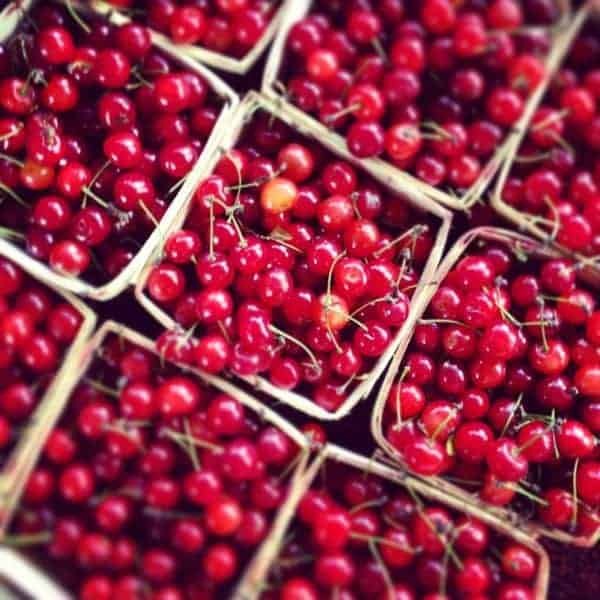 While these cherries are perfect for cobblers, pies, crisps and more, I must admit that I love eating them raw. To be honest, adding sugar to these naturally sweet berries at their ripest stage is unnecessary in my opinion. Plus, I need to save every calorie I can for my carb-craving, ice-cream-loving, 6 1/2 month pregnant self. 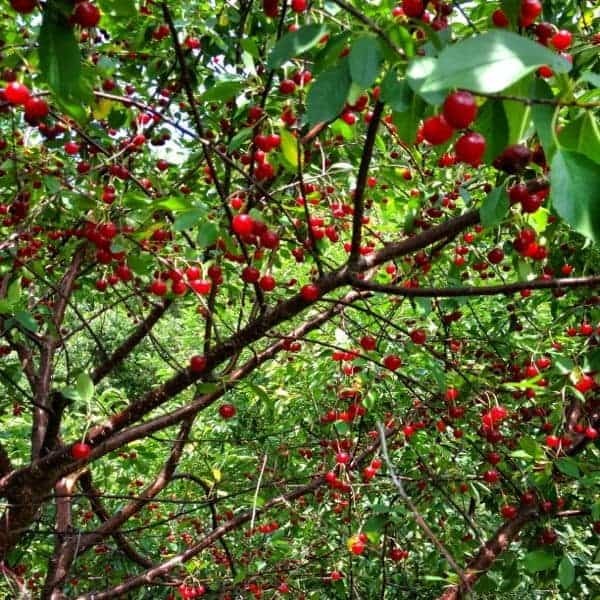 Cherries Help Improve Memory: Cherries contain anthocyanin, a type of antioxidant, shown to reduce the effects of aging and improve memory function according to a study published in the Journal of Neuroscience. Cherries Can Lower Blood Sugar Levels: The anthocyanin found in cherries have been shown to increase insulin production which helps stabilize and lower blood sugar levels which is important for people with diabetes or those trying to prevent diabetes. Cherries Fight Cancer: Cherries contain quite a few cancer-fighting agents including fiber, vitamin C, carotenoids, anthocyanins and other antioxidants. Cyanidins, specifically, have been shown to fight free radical cell growth which has been linked to a reduction in cancer. Above all, aren’t they pretty? Cherries and chocolate are naturally sweetened with ripe banana to create this creamy, refreshing and healthy smoothie. Place all ingredients except for the ice in a high speed blender and puree for 30-45 seconds. Add ice and puree until smooth, about 45 additional seconds. Serve in two glasses and enjoy. Mmmm….. this tastes like black forest cake! I just like saying “chocolate cherry berry” over and over–it sounds so fun. You smoothie looks delicious–too bad the only Michigan cherries I’ve got are a tub of dried ones, which are also delicious and I could probably rehydrate for a smoothie if I didn’t have peaches and plums begging me to eat them NOW. Those stone fruits are so demanding, you know? Yes these are perfect for frozen berries!! About to have one right now! I’ve been eating fresh cherries like candy lately! 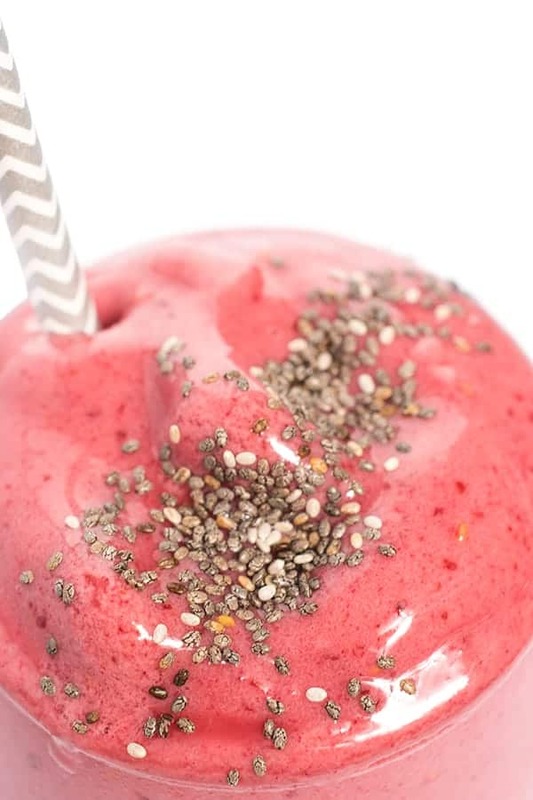 I need to save a few to try this smoothie! I am addicted to cherries. I eat them almost daily in the summer. I actually haven’t had them in a smoothie–great idea!! Me too!! I hope you got some Michigan cherries while you were here! 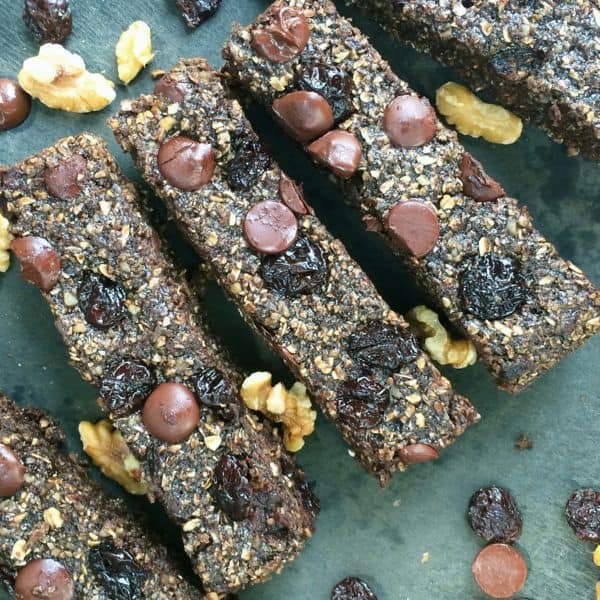 This sounds incredibly good Liz – my kids would love it if I made this for breakfast! 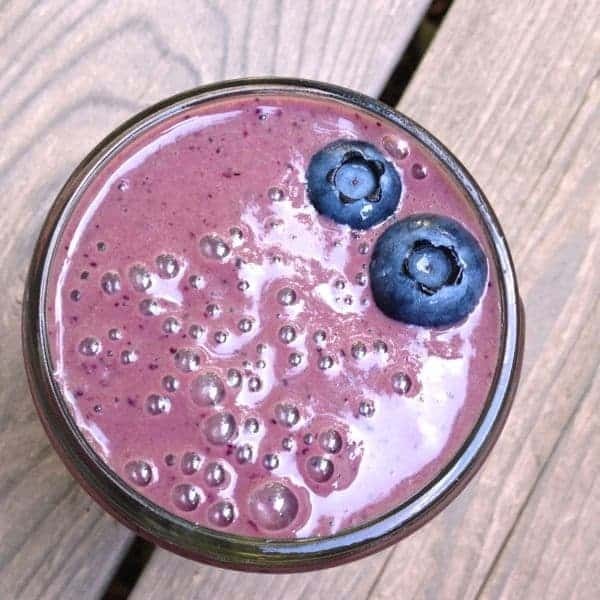 My son drank most of mine – I bet yours would love it too! I’ve never thought to put cherries in a smoothie. You are so smart, friend! And I can’t believe you are 6.5 months prego. Time is flying by! oh wow this looks and sounds divine. I must give this a try soon. I’ve been making smoothies daily for the past few weeks! Although this is a little more ingredients than I normally do… I must give it a try! This sounds awesome! Do you use cocoa powder or another form of chocolate for this? Christina you might not have been hallucinating!! I mistakenly left it out and added it back earlier today. Sorry about that! holy cherries! and that sounds delicious! Can’t beat chocolate and cherry! I totally agree!! Thanks Steph! You can’t go wrong with chocolate for breakfast, right?